It isn’t too often that you come across a product that completely blows all other brands out of the water. But today I have one to share with you! As someone with long, thick, Italian hair, I don’t find myself skipping in-shower shampooing too often. However, there are times when I want to give my hair a break or am running behind and don’t have time to wash and dry it. I typically reserve these days for times when I don’t have too much planned for the day but sometimes do feel the need to apply a dry shampoo to my clean hair later in the afternoon or evening to freshen it up. My main problem with dry shampoos for my dark hair is the white-cast they typically leave on my hair. I have tried many different brands and have found very few that work for me. That combined with trying to find a pleasant scent that isn’t too overpowering made the hunt challenging.  When I had the opportunity to try the new dry shampoos from HASK through Brandbacker, I had my reservations as having been burned so many times before by promising hair care products. I am delighted to report that these new dry shampoos are AMAZING! HASK sent me the Chia Seed and Argan products from the line and I have been loving them. I was shocked that no matter how close to my hair I sprayed this product, I had no white-cast on my hair! These dry shampoos performed so well with my hair the whole day after not washing it. The Chia Seed has a floral tea scent which is very refreshing and light while the Argan has a bright, citrus orange scent. Both smell great and the packaging is bright and gorgeous. These products are free of sulfates, parabens, phthalates, gluten and artificial colors – which I love! HASK is such a great brand if you are looking to know exactly what ingredients you are using in your hair. Each canister contains 6.5 oz of product, which is great for a hair care product. The canister is rather tall though, so think about this when contemplating storage of these. These retail at $7.99, which I think is a wonderful price point for such a well-performing product! There are also Charcoal Purifying, Monoi Coconut, and Kalahari Melon Oil Color Protection versions of the product all available at Ulta Beauty! One of the great things about HASK is how they have so many different lines available for each type of product so you can get one that works well for your hair needs! You can also check your local drugstore, such as Walgreens, for this amazing hair care brand! Have you tried Hask hair care products yet? What is your favorite dry shampoo? Let me know in the comments below! Do you think this would work for my hair? I would love to find a dry shampoo that works and you know how I love citrus scent! Absolutely! I’ll bring it home for you to give it a try! It smells lovely! I need to try this and see whether it beats my beloved Batiste! I have to say, I like it better than Batiste! I recommend giving it a try – especially at such a reasonable price! Thanks for reading!